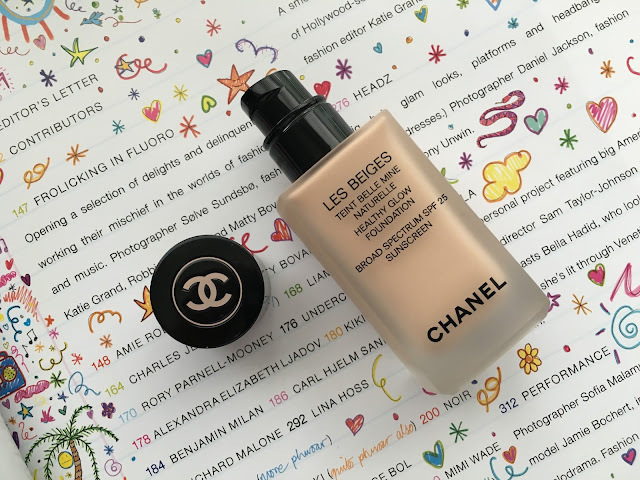 In the world of foundations, Chanel can do no wrong with each beauty in a bottle that they come up with. The Vitalumière Aqua is my favorite of all time, with its water base that just seems to glide across my skin. It keeps things simple with light-medium coverage that stays in place and looking flawless all day and night. 22 Beige Rosé is a perfect match for me, even in the summer I just layered some Nars Laguna over it to bring everything up to one shade. I've tried the Velvet version of it as well and if I was looking for something more matte, I'd go with the Velvet. Last summer I swore by Les Beiges All-in-One Healthy Glow Fluid in No 20 that I can't seem to find online anymore. It was my go to foundation all summer for something made for the heat and long days while still giving good coverage. Hopefully this isn't the last we've seen of it but maybe this new foundation is it's replacement? Who knows but let's get cracking on this new Les Beiges addition to the family. 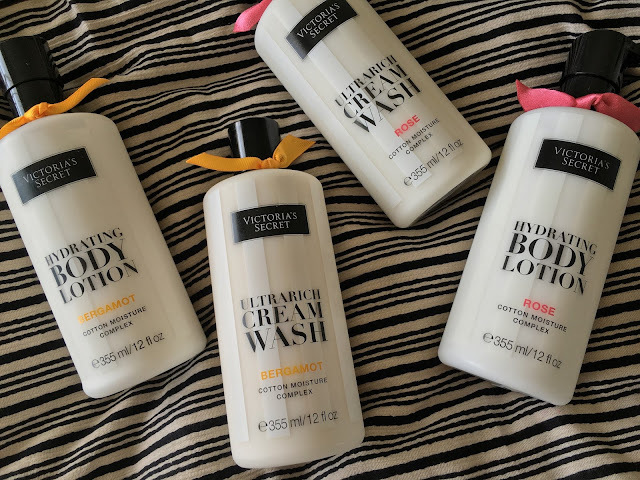 Victoria's Secret has been going strong since last August with their new patented body care line that's unlike anything they've ever sold. Well, they did have a line very similar to this one but that was before my time so I'm pretending like this is something completely new. They started with four scents in the beginning and I tested out Coconut Milk and Shea first, which are still available but things have gotten even bigger with the addition of Bergamot this spring and Rose this late spring/early summer. When I unboxed these, it was like the Gods of body care were calling to me. I love eyeliner, really I do. I can't go without it even though I'm sure my eyes would still look fine with all the mascara I wear (I really love mascara). For over two, probably three, years I've sworn by the Stila Stay All Day Waterproof Liquid Eyeliner because it literally has no flaws at all. Except for maybe the packaging rubs off on the outside from excessive use...but that doesn't affect the magic on the inside. 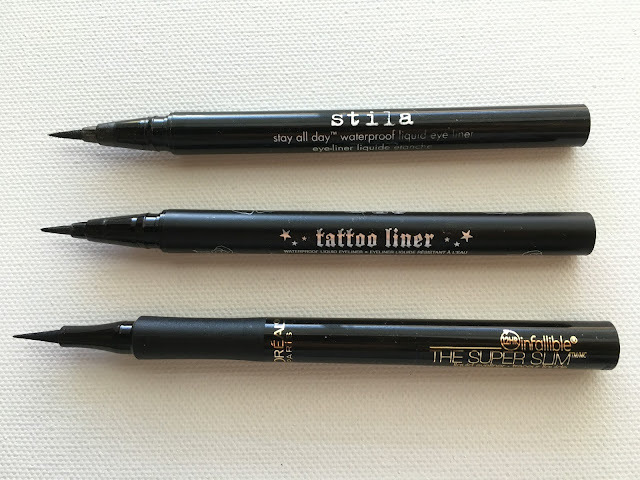 Stila has been my go-to even when I went through the Benefit They're Real eyeliner stint, I tried really hard to like that one. Recently I decided to finally try the Kat Von D Tattoo Liner after my friend who works at Sephora raved about how great it was. She was the icing on the cake of my decision to buy. Along with Kat Von D, I decided to buy a drugstore eyeliner. I know, me buying a drugstore eyeliner? Yeah calm down and listen to me talk about it instead.